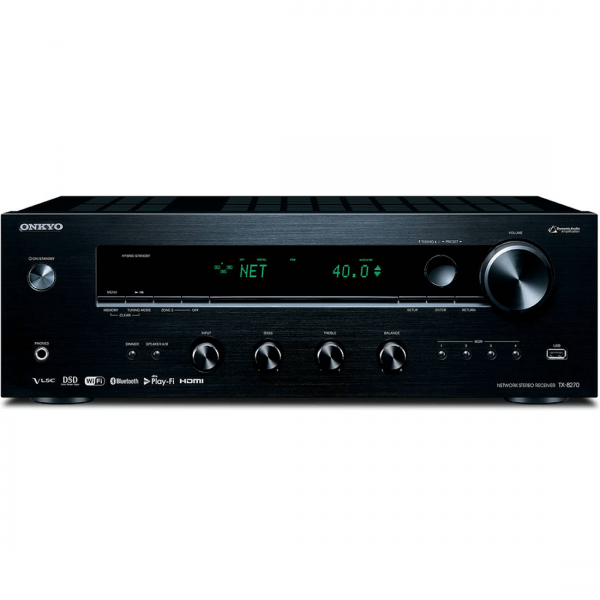 The Onkyo TX-8270, is a beautifully engineered network stereo receiver designed to maximize musical enjoyment and drive your favorite speakers. Built around a massive transformer, audio-grade capacitors, and discrete non-phase-shift circuitry locked into a robust chassis, this amp has high-current power to illuminate cherished vinyl to Hi-Res audio and unmatched connectivity options for audio components. 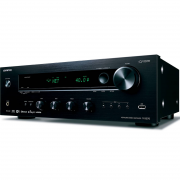 With Sonos Connect, the awesome home theater you’ve built around your Onkyo TX-8270 receiver can now be part of your existing Sonos Home Sound System, or the start of a new one. Instantly upgrade the music streaming capability of your home theater with Sonos Connect and a free firmware update. 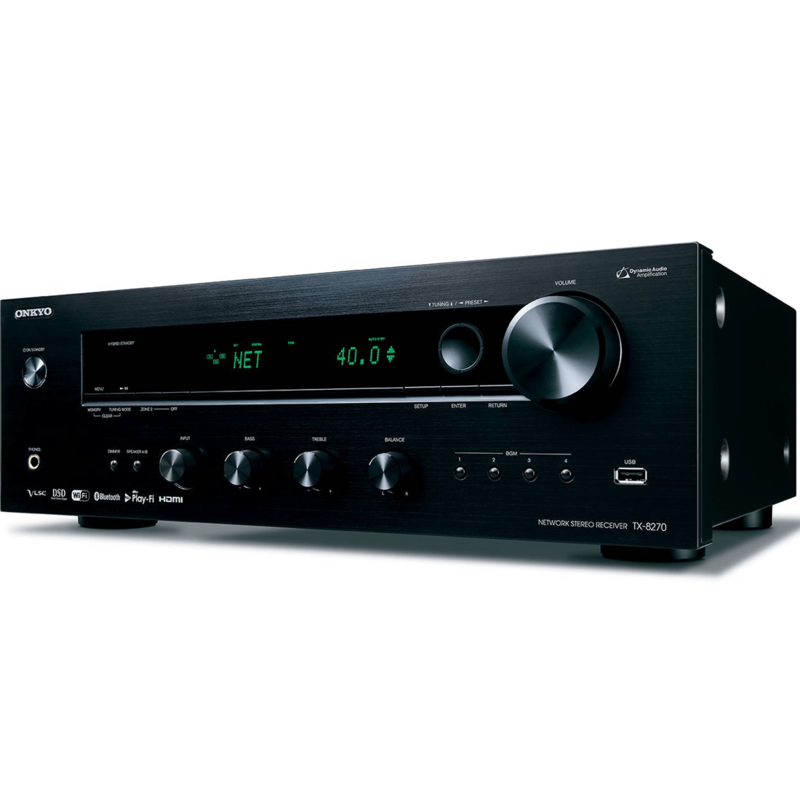 After a simple set up, your Onkyo A/V receiver will seamlessly tie into Sonos, instantly waking, changing inputs and playing at the volume you command through the familiar Sonos app. 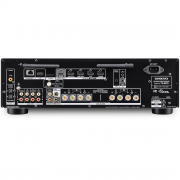 This amp system generates high current with a massive transformer and audio-grade capacitors. Circuitry features discrete output transistors for low distortion and effortless driving power. High current assures accurate control, restoring energy and vitality to your music. 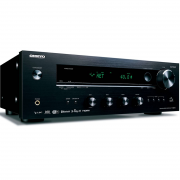 Non-phase-shift circuitry, meanwhile, focuses the audio image and reproduces a wide frequency bandwidth to maximize Hi-Res Audio and vinyl playback. 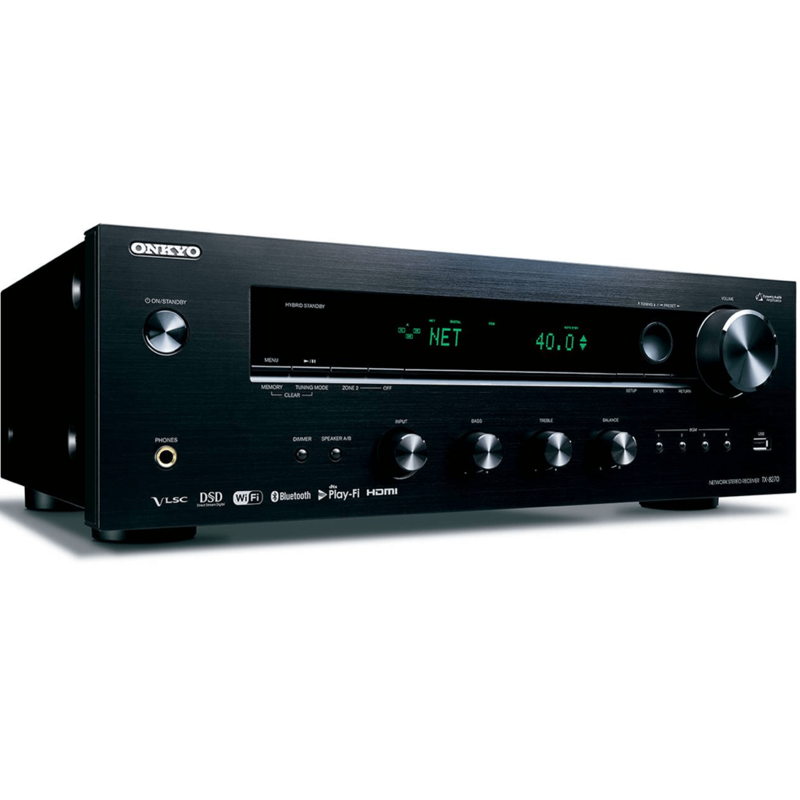 Rated at 100W/Ch (8 Ohms, 20 Hz-20 kHz, 0.08% THD, 2 Channels Driven, FTC), the TX-8270 is our best stereo receiver for driving speakers. 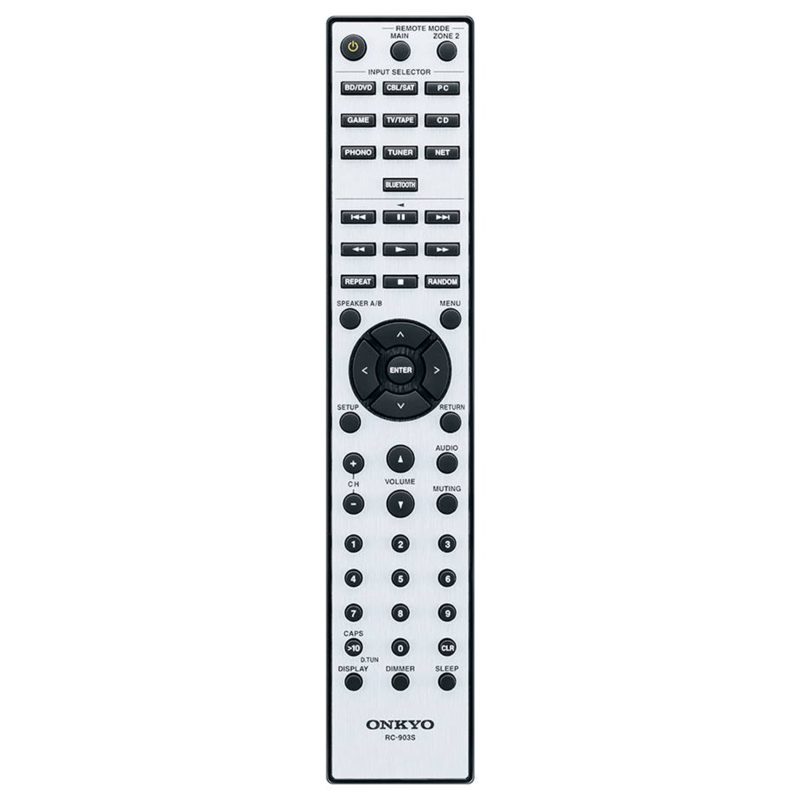 Stream any music from your smartphone, laptop, or PC to the Onkyo TX-8270 with ease. Control playback with Chromecast enabled apps you know and love from your iPhone, iPad, Android phone or tablet, Mac or Windows laptop, or Chromebook. 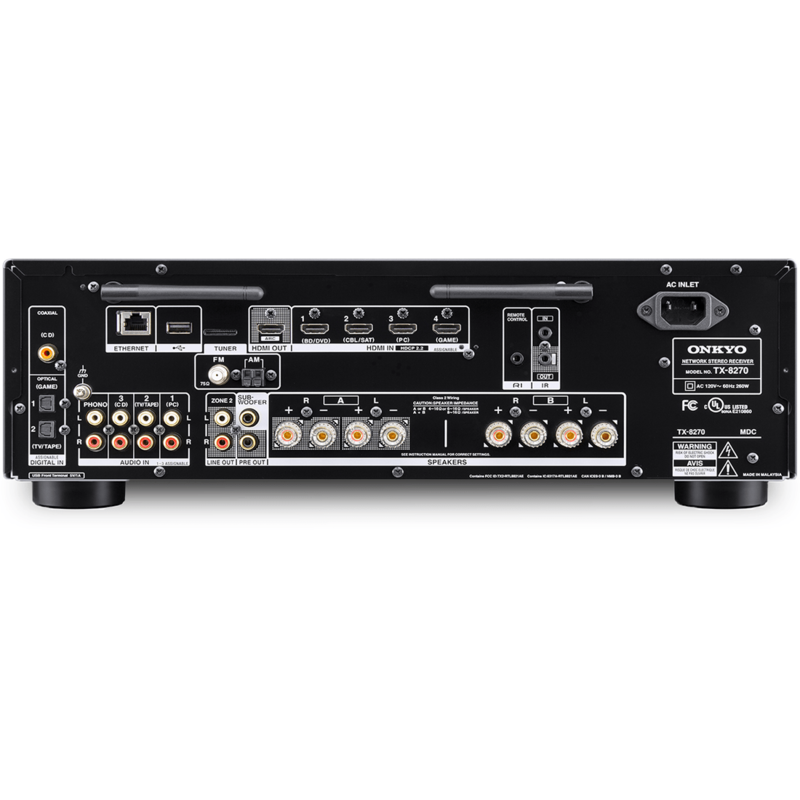 Connect up to four media players to the receiver’s HDCP 2.2-compliant HDMI® inputs. The terminals support pass-through of 4K/60 Hz video, 4K HDR in HDR10 or Dolby Vision formats, as well as BT.2020 4K video standard. Enjoy premium 4K Ultra HD content untouched from source to screen. TIDAL, Deezer, TuneIn, and Pandora are baked into the GUI, making it easy to select from a massive range of music and radio programs. FM/AM radio tuners are also included with 40 station presets. Get instant access to four of your favorite stations via memory preset buttons on the front panel. 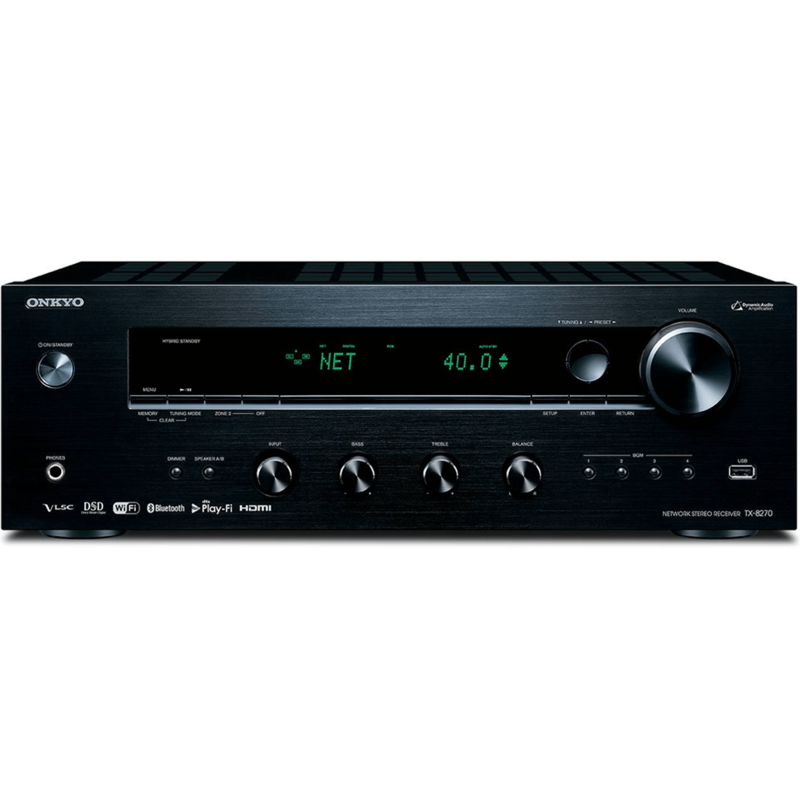 A dedicated DAC for NET/USB Audio Distribution and Zone 2 line-outs send any audio (even streamed audio) to a second room equipped with a power amp and a pair of speakers, perhaps on the deck or in the garage. Play the same source in both rooms or a different source in Zone 2.